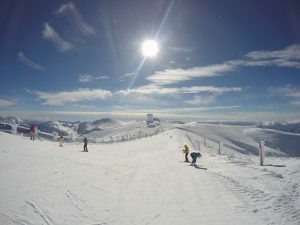 Kalavrita Ski Center is located on Mount Helmos, just 14 kilometers away from Kalavryta and Finday Eco Boutique Hotel. Visionary of the center, in honor of which he took his name, was Panos Polkas, who served as Mayor of Kalavrita from 1974 to 1990. In the Ski Center the visitor can enjoy the snow. You can as well visit the wooden chalet at the base of the ski center, near the parking, “Chalet 1750”. You can also take a ride with the ski-lift “Achilleas”. When you reach the second level named “Vathia Lakka”, you can find a well organized canteen with hot drinks and beverages. A perfect proposition is also a snowmobile ride on a special track that you will remember! 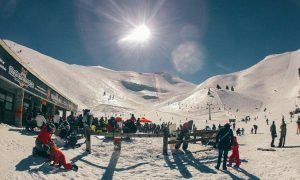 For skiers and snowboarders, this ski center is the best of nature and beauty of the mountains. There are a lot of pistes – slopes. The pistes are categorized in green (very easy) – blue (easy) – red (difficult) and black (very difficult), depending on their degree of difficulty. 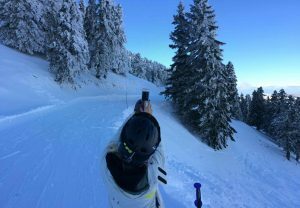 Helmos is also one of the most beautiful mountains in Greece, allowing the skiers to play among the snowy fir trees! During the ski season many sports events take place, from skiing, night skiing, to the pioneering snow-volleyball championship. 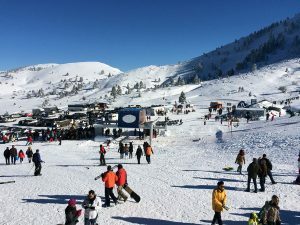 For immediate information about the operating status visit Kalavrita Ski Center official website. Those of you who will reach the top of Mt Helmos named “Neraidorahi” will see the Helmos Observatory and the Telescope named “Aristarchos” . The location where the telescope is placed is not accidental, the place that has been installed ensures low light pollution as well as it is usually above the clouds. 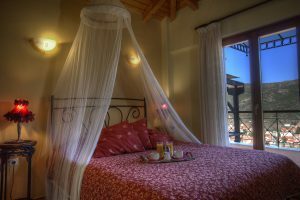 Finday Eco Boutique Hotel Kalavrita. 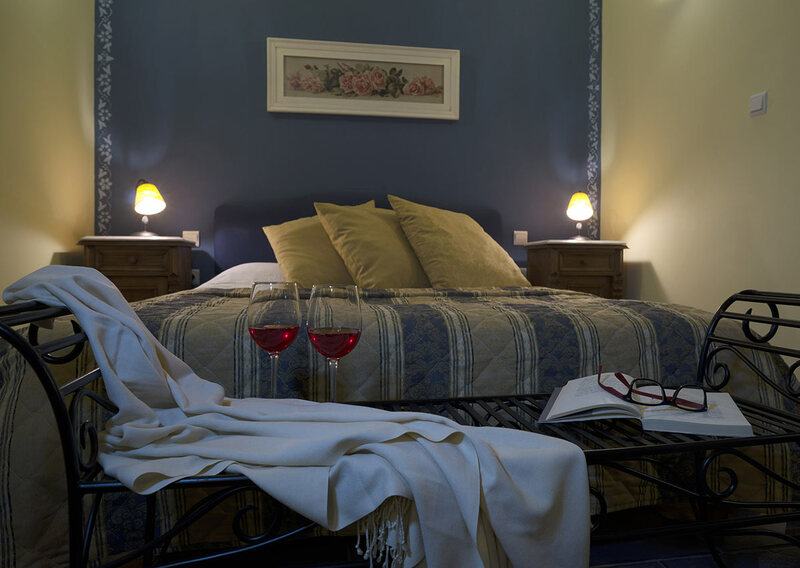 At your disposal, hotel’s bar, where you can enjoy a relaxing drink.